Inspiration behind this comic, I recently flew from Detroit to Toronto and the plane refused to take off because the kid beside me was writing an SMS. 2 different stewards began arguing with him to turn off his iPhone until he finally did. Meanwhile I was *sleeping* beside him with my iPhone on listening to music. Fortunately for me, I had my hood on and they didn’t care notice. “Phones and Mp3 players can cause electrical interference that can disrupt our plane’s equipment.” I don’t like being treated like a child, the reality is they need your full attention during takeoff/landing so that you are alert, since these are the times most likely an accident could occur. Just say that. You can’t seriously expect me to fly on a plane if some idiot’s Walkman (that idiot was me in my previous story) was accidentally left on, and can take down a 747. Why do you rigorously measure the amount of hair gel in my carry on, and force me to put it into a baggie, yet seemingly ignore the 3 electronic devices in my front pocket. Incidentally, while drawing this comic, this news article about an NFL player going through this exact debacle appeared in my news reader. I might be over reacting, but perhaps you (the FAA) should worry more about your pilots making $17,000 a year and being on food stamps [warning, link to Michael Moore] than me listening to Miley Cyrus on my flight home. Summary for all those headline skimmers: Ebert says that video games will never be art, I highly disagree and analyze and break down his argument. Ebert seems to have confused the act of playing games with the creation and the game itself. The original article spawned a huge reaction, and > 3,000 comments. Many ideas from those comments are shared by me. A week ago, acclaimed film critic Roger Ebert posted an article boldly re-stating his belief that “Video Games can never be art”. His article was in response to a TEDx presentation by Kellee Santiago defending Video Games as an art form. Ebert’s argument hit a personal note, because although his focus was video games, to me it almost generalized that no part or product of the software process could be art. Ebert’s main argument focused on a traditional definition of art, and used the 3 examples provided by Kellee as counter-examples for his proof. This made me cringe. Presenting an argument in this form (specifically relying on these 3 examples) to me was a logical fallacy, denying the antecedent. Video games will never be art, because these 3 games are not art. Sorry Ebert, you get an D- in propositional logic 101. To his defense, I don’t feel like these were the best examples to use. The Waco Resurrection, was a very interesting but bizarre choice to prove a point. Any academic trying to solidify the credibility of modern video games knows of the stigma that must be overcome to make any progress. The Jack Thompson‘s of the world have made it impossible to mention video games seriously without getting the “senseless violence” card thrown on the table. I acknowledge the original ‘artistic’ intent behind the Waco project, but again, very very bizarre choice to make a point. The other two examples weren’t as bad, but Kellee quoting their market success just gave Ebert more ammunition. There are so many other facets of the game industry that could have been brought up. Ebert seemed fixated on the gamers’ desire to have playing games qualified as art. This is the biggest problem in the whole debate for me. He unfortunately failed to see that many disagree with his position because the process of making a game, and the game itself is what people want to be considered art, not the act of playing. And instead of starting a fight with an audience, he started a fight with an entire industry. This comment (lost in the mass) by Ebert himself, sums it up. Would you concede that a chess set itself can be a work of art, whether or not it is actually played? Ebert: Yes. But why is that a concession? 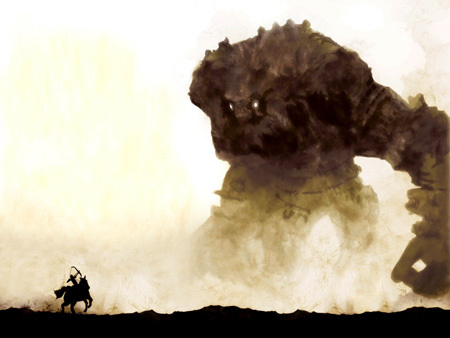 The screenshot above is from a PS2 game, “The Shadow of the Colossus”. I own this game, never played it to the end, but before I even bought it, I considered it a piece of art. One of the final talks I attended at CUSEC 2010 in Montreal, was probably the most important, and unfortunately – (seemingly) the most underrated. Daniel Berry from University of Waterloo Software Engineering gave a talk entitled “Ambiguous Natural Language in Requirements Engineering”. Unfortunately he was speaking to an audience in the Agile area who have been exposed to culture stating that Waterfall Software Process is dead. More inaccurately, that requirements gathering is a dead science. This talk was not only enlightening, but also made me rethink many topics I haven’t thought about since University. In summary for those who don’t want the verbose version: The process of transforming the ‘idea’ (as a requirement) and turning it into ‘code’ is a problem that extends well beyond just the ‘code’ part. Many software errors (%5-%10) are a result of ambiguous requirements – Requirements that neither party in the process even knew were ambiguous. This talk was a branch of Software Engineering shining at its best – and Berry offered solutions! First to address those developers still pretending this problem doesn’t apply to them: Not all software projects involve 1-2 developers. Not all projects allow you (the developer) to talk directly to a client. 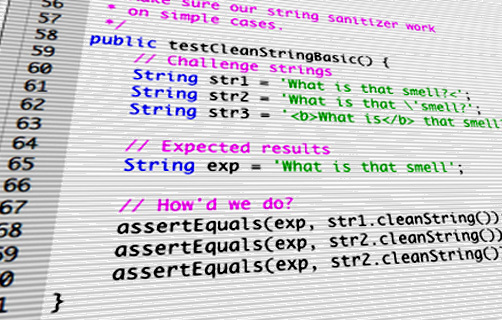 Some projects will have you writing code based on requirements written by someone else in your company. This problem exists whether you want to believe it or not. This post will probably make people think I am insane for bring up such a small issue. But little things bother me, and this little thing has bothered me for years, and I have been waiting for Microsoft to fix this. No matter what email client you choose to use, there is a set of basic features that all must support. Once you start looking at competitve advantages, little features make the difference. As a synopsis (to those who don’t want to read the whole post): Unlike all of its major competitors, Hotmail does not allow users to mark emails as unread within the context of reading an email. As a secondary, they provide buttons that don’t actually do anything. I use a lot of email clients, gmail/hotmail mainly. I also use 2 other lesser known clients but mostly to keep up on innovations in the UI etc. 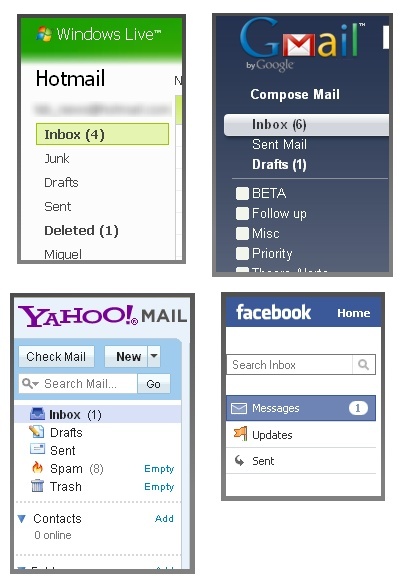 Over the years, (after gmail came out) Yahoo! Mail seemed to be the only client that made improvements or drastic changes to their interface. I took this above screenshot because it demonstrates how I (and many others) use email. I generally try to keep my email box with 0 unread emails. As it gets closer to Friday my work inbox sometimes gets up to 10, but I am pretty good keeping it low. When I read a message and realize it is too long to read at the current moment, I mark it as unread. Similarly, if there is an important email, with vital information I will need in the near future, I will mark it as unread. 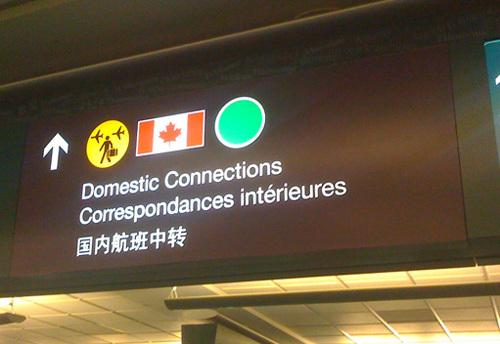 Some clients allow the ability to mark or flag as important/follow up. Most clients allow folders for organization. Depending on the user’s level of organization they may have their own way of dealing with such messages. Personally, I like to mark anything as “unread” until I have fully closed off all ties with that particular issue. It is the one thing that at the end of the day, reminds me there is something outstanding (The big number beside my inbox).